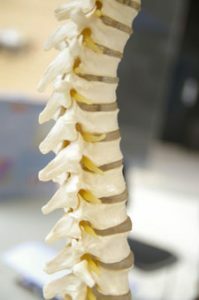 Our Lincoln Chiropractic office utilizes a blend of the best Chiropractic Adjusting Techniques known today. We strive to focus on a tonal approach to adjusting, but recognizing that each patient is an individual, we utilize both postural and segmental adjusting when deemed appropriate. Similar to above, at any given time, an individual generally has about 10 different subluxations, 1-3 primary and 7 compensations. If we continually address the compensations and ignore the primary subluxations, it allows the problem to grow deeper. Our Lincoln chiropractic office specifically analyzes your body’s nervous system reflexes to determine where and in what order you need your primary subluxations removed, to allow for maximal healing. Finally, after your nerve blockages have been removed and your body’s healing capacity restored, we aim at our office to help minimize the reoccurrence of these subluxations. Since the 3 stress flavors cause subluxation, we teach our patients how to minimize the physical, chemical, and emotional stressors, to keep them at bay. As your top local chiropractor, we can utilize either lower force or traditional manual adjusting techniques to best suit our patients. Contact us today to learn more to schedule your appointment.